Watch pundits of today often lament that all we create in watches now are throwback references to the past. In fact, today’s watchmaking complications – freely defined as anything additional on a timepiece above and beyond the “simple” time indication – not only reflect the mechanical genius of generations ago, but also – and more importantly – reflect the genius thinkers of today and even tomorrow. 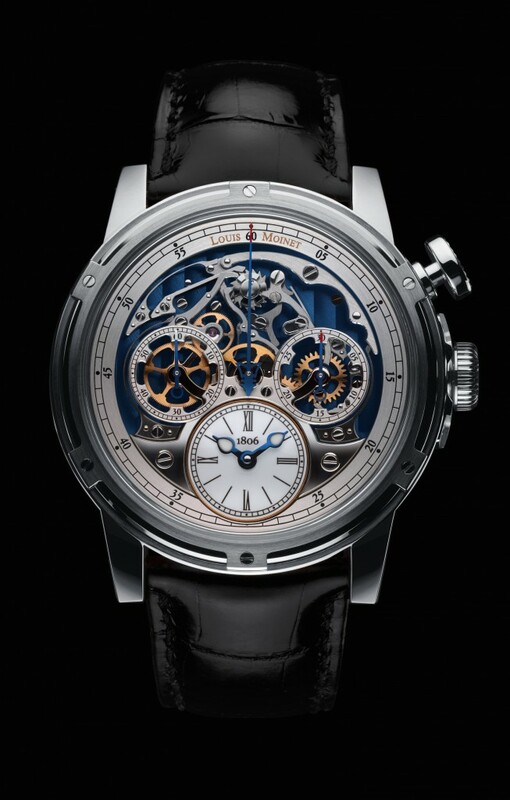 Centuries ago, great watchmakers such as Abraham-Louis Breguet, Antoine LeCoultre and Adrien Philippe – among others – developed monumental inventions in watchmaking that brought us the keyless winding watch and even the tourbillon escapement (a device that compensates for errors in timekeeping due to the effects of gravity on the watch in certain positions.) For their time, those inventions — often multiple complications packed inside a 55mm pocket watch — were considered elaborate breakthrough watches. Since that era, the race to create the world’s most complicated watches and to create new and different complexities has never wavered. Even in the beginning of the 20th century, some of the world’s richest men, Henry Graves and James Ward Packard, approached top brands such as Patek Philippe and Vacheron Constantin to create some of the most complicated and famous watches ever made. While many naysayers in the watch world claim that today’s watches are just remakes of our forefathers’ inventions – inventions that propelled the watchmaking world forward again and again – the truth is that they are so much more. Like those centuries-old watches, today’s watches are the steppingstones of tomorrow’s time. Every invention is a break through, every new concept, indication, method of implementing displays, and even design is a breakthrough. Indeed, mechanical watchmaking — the building of hundreds of tiny pieces that all work harmoniously together without a battery for years and years to come – is a miraculous feat. Let’s face it, with digital technology surrounding us and with ultra-precise quartz watches aligning time with satellites – the mechanical watch could have (and almost did) died. But it did not, instead it was reinvented. For at least the past decade, “different” and “extreme” have become strong buzzwords. 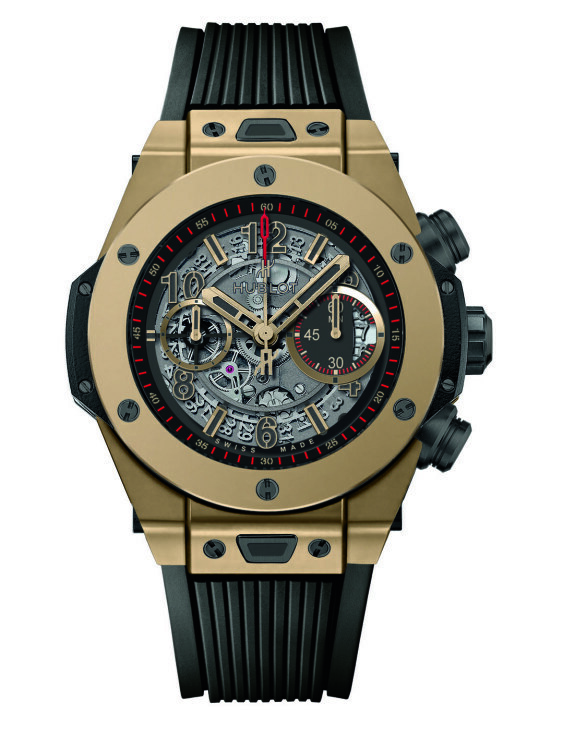 In fact, the watch world has witnessed an evolution that is so strong that it could be termed a revolution. Complicated watches are taking a cue from arenas such as aviation, aerospace and auto racing for both materials and design. Additionally, technical advancements in machinery, 3D printing, computers and other arenas have opened new doors of endless creative possibilities. New micro technology has helped watch brands cut components to ever tinier fractions of a Nano meter – enabling exacting precision and greater miniaturization of parts to fit sometimes more than a thousand tiny mechanical pieces into a watch not even two inches in diameter and thinner than a quarter of an inch. Just the miniaturization itself is enough to boggle the mind. “Today we are able to reduce the diameter, reduce the thickness because everything comes down to Nano technology that didn’t exist in 1801 during Breguet’s time,” says Biver. Of course, the abilities to create three-dimensional, space-age looking watches, to construct high-mech concept watches and develop high-tech materials all stem from several technological advancements in various arenas. The technological evolution, with CNC machines and 3 D printing, has enabled closer precision and faster turnaround on model making so that brands can – within days instead of weeks – see the fruits of their efforts in true three-dimensional format. From this, tweaks, changes and reiterations can move more quickly than in the past. In fact, today’s 3D printing is so exacting and precise that some brands rave over its use. Max Busser, for instance, says that when he started MB&F ten years ago – he went on a trip visiting retailers around the world to pre-sell his first watch using a perfectly painted 3d printed sample. Similarly, Larry Pettinelli, President of Patek Philippe North America, says that 3D printing enables the brand to create larger than life size bracelets and cases that will depict even the milling marks expected to be achieved on the final product. That blend of creativity, innovation and technology has led many brands to the idea of building and introduction concept watches – much the same as the auto industry has concept cars. 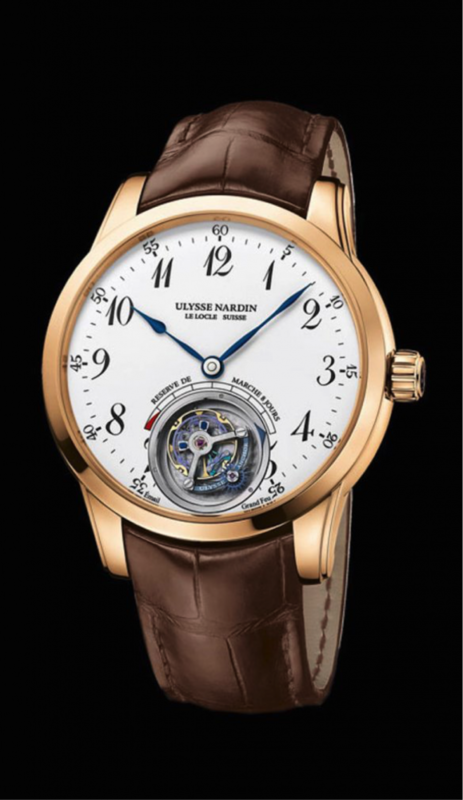 In the late 1990’s, Ulysse Nardin went out on a proverbial limb, experimenting with new watchmaking concepts and in 2001 launched the Freak 7 day tourbillon carrousel watch as its first full concept watch. 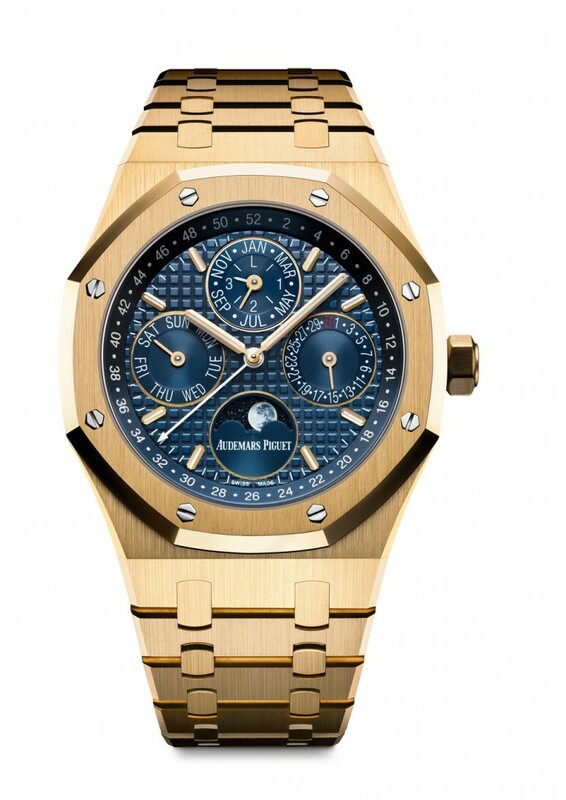 Audemars Piguet was not far behind, and started creating concept watches in 2002, with brands such as Breguet and Cartier (with its ID concept watches) and others right there in the mix. Cartier, like other brands building concept watches, takes the best of what it develops technologically and transforms it into a finished product. 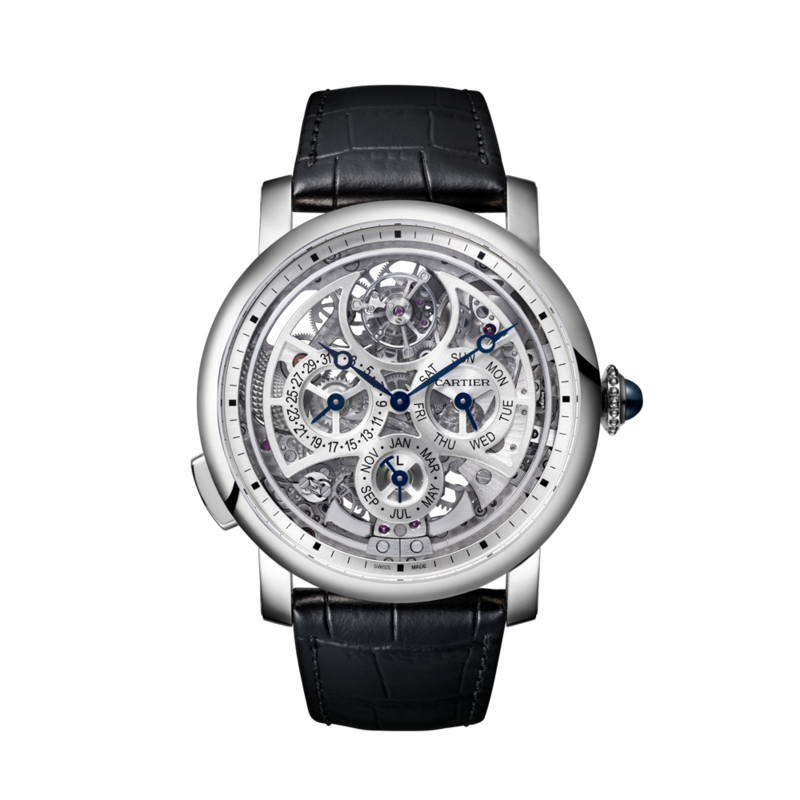 Last year, the brand unveiled the Rotonde de Cartier Grand Complication Skeleton — a $630,000 watch with flying tourbillon, minute repeater, perpetual calendar and more in a unique format that demonstrates its prowess as a haute horology brand. Sometimes only certain portions of a concept watch – a material, a technique, a system – will finally take shape in a production watch. Other times the entire concept watch becomes a reality. It all depends on the most workable concept. 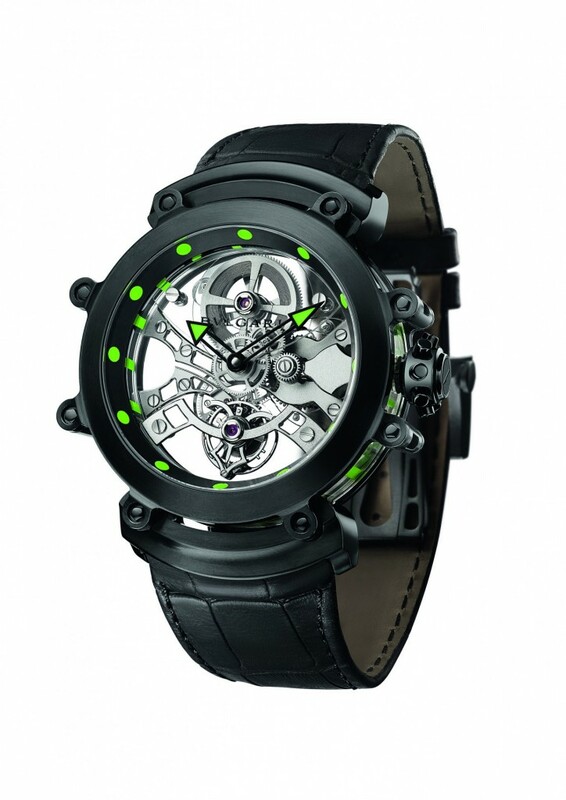 That technology is also responsible for other new inventions in watchmaking in terms of materials. Today’s best watch brand are not only turning to high-tech materials such as carbon fiver, specially manufactured alloys and other incredibly durable and light-weight substances for watch cases and bracelets, but also for movement components. For decades the top echelon brands (such as Ulysse Nardin, Patek Philippe and Breguet) have been experimenting with using silicium (silicon) in escapements and as hairsprings and other parts. In fact, in the most recently released Freak Lab watch by Ulysse Nardin, the shock absorption system is in silicium and in the highly complex new Ulysse Nardin Anchor Tourbillon, the entire escapement is made of silicium. The watch is the result of eight years of research and development and offers a constant release of power different from most constant force escapements. 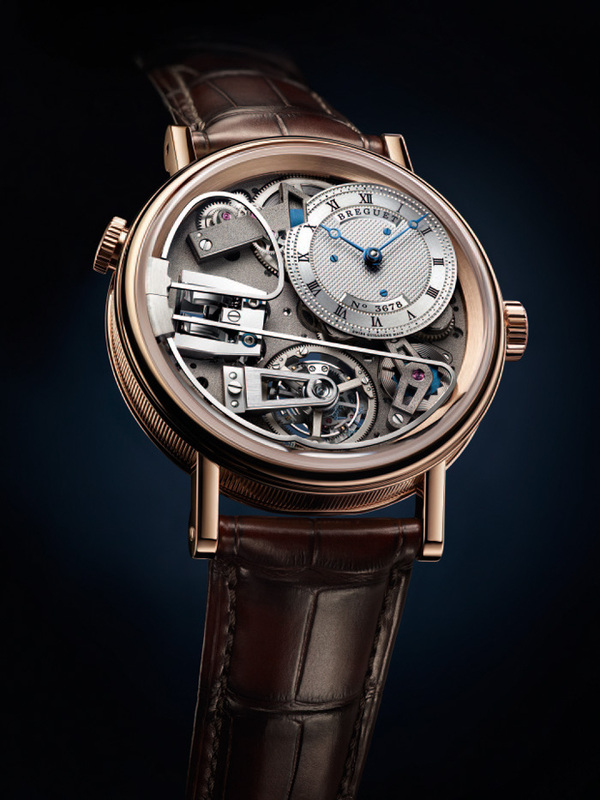 Similarly, at Breguet, the use of silicon allowed the brand to “incorporate magnets inside the watch mechanism to enhance their performances … and crate a dramatically stable system” says Hayek. Additionally, friction-free silicium does not need oiling, and therefore reduces the need of servicing on a $50,000 or $60,000 or more watch from every few years to as every five to 10 years. 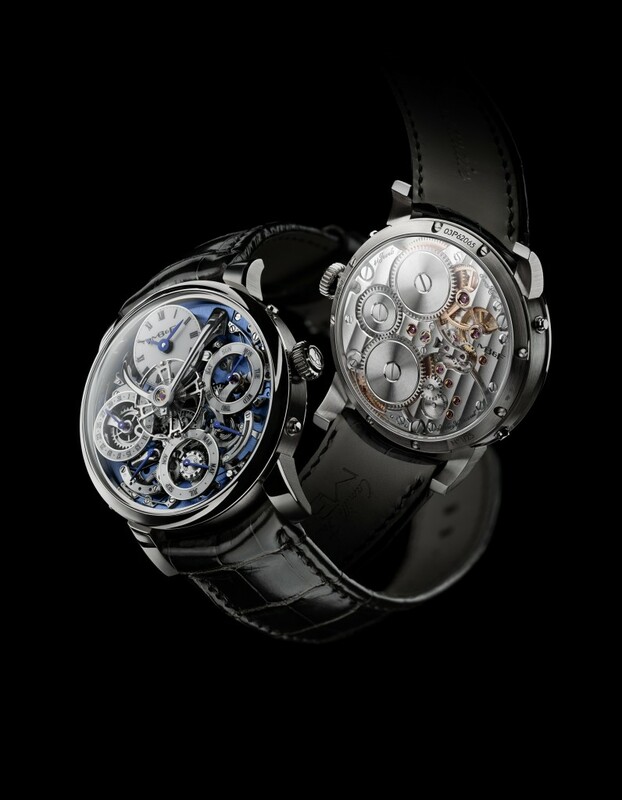 Sapphire is another material being embraced by the watch industry for use inside movements, as well, with top brands using sapphire disks to offer ultra-transparency and a better view of movement and mainplate parts. Some even take it a step further by attempting to go “case less” by using sapphire outside and inside. Bulgari achieved that look last year in its Tourbillon Saphir Ultranero watch with sapphire case and sapphire tourbillon. So far-reaching and advanced has the industry become that some say we have evolved watchmaking from knowledge and science to sci-fi. Much of this thinking is derived from the multi-dimensional watches emerging on the market thanks to technological advances and to thinking on a different playing field. In fact, two distinct styles of breakthrough watches have emerged: traditional (brands that apply technology in a watch that has a traditional feel) and Sculptural (brands that shape their watches in multi dimensions). There are also some brands that lie, well, firmly in the middle – embracing the best of both worlds. Indeed, not every complicated watch of today is futuristic or houses advanced materials. Some blend both worlds. This is perhaps best demonstrated in the realms of today’s minute repeaters and tourbillons and in the ways in which brands are achieving higher power reserves and incredible constant force for unleashing power. Last year alone, brands such as Audemars Piguet, A. Lange & Sohne, Jaeger-LeCoultre, Breguet and Ulysse Nardin achieved new heights in sound, volume and delivery of music in timepieces. In fact for the creation of its Royal Oak Concept RD#1 watch (unveiled at last year’s SIHH), Audemars Piguet worked tirelessly with the Acoustic Research lab at the École Polytechnique Fe’de’rale De Lausanne (EPFL) to achieve the final sound of the breakthrough watch that was eight years in the making. It has three patents pending. 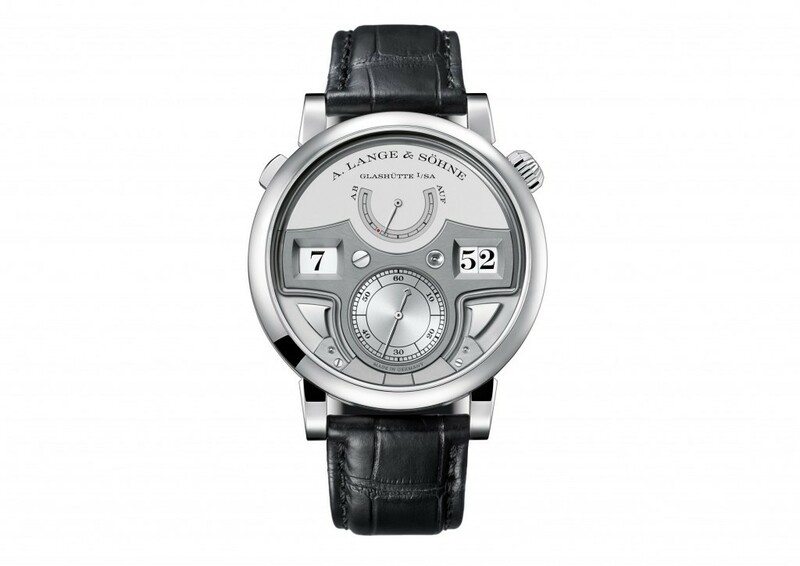 Similarly, A. Lange & Sohne developed an all-new concept in its Zeitwerk Decimal Minute Repeater. 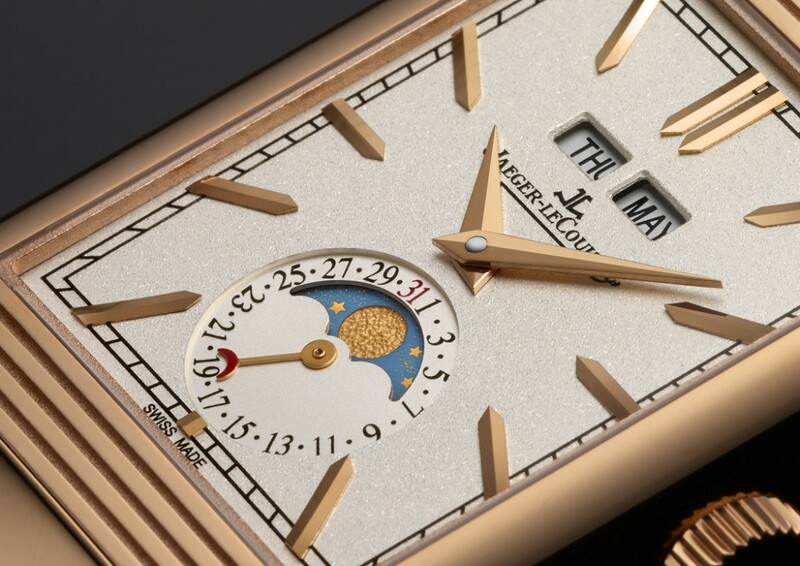 The 771-piece movement chimes hours, ten-minute intervals and minutes – a big departure from typical repeaters that strike the hours, quarter hours and minutes. It is a complex timepiece to build, as the striking mechanism works in tandem with the jumping hours and minutes disks of this original watch.